Spoilers for House of Cards Season 3 below for anyone who didn’t get binge-watching clearance from the White House. With this final line, Frank Underwood underlined what a lot of House of Cards’ third season has been about: Claire and her place in the Underwoods’ single-generation dynasty. Frank and Claire’s marriage has always been a strained one, full of deeds and misgivings that other television couples would never have to worry about, but the White House experience has finally taken its most resounding toll, and the Underwoods may one day be no more. Claire is leaving Frank, and that’s the most perfect way for things to have ended up. Throughout House of Cards’ three seasons, viewers have watched Frank and Claire go toe-to-toe with all manner of politicians, both domestically and internationally, but their most important battles have always been those where they were fighting each other. And this season had plenty of those, as Claire’s arguably unearned Ambassador position put her in both the spotlight and the crosshairs when problems occurred. But their fight aboard Air Force One, following Claire publicly decrying Russia’s anti-homosexual policies in front of President Petrov, was the atomic explosion that opened up wounds that may never be closed. That episode sees Claire telling Frank, “I should have never made you President,” soon after Frank’s declaration that true courage means keeping one’s thoughts to oneself when the stakes are high, and that was her first big step out of the door. The coldness in that and subsequent scenes could have frozen the sun, and yet the very next episode attempts to give the couple a reconciliation by having them renew their vows, seemingly in love all over again. This was hopefully proof that Claire’s intentions on exiting their marriage won’t just get swept under the rug when Season 4 gets here next year. 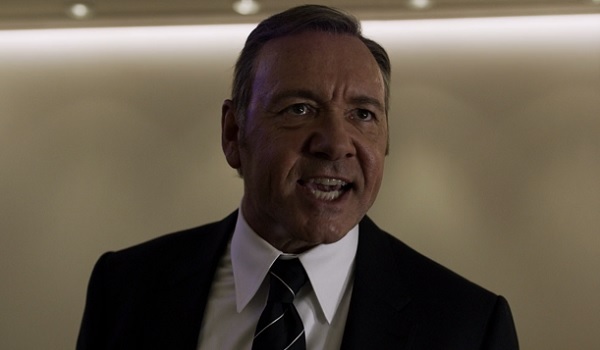 You can’t play backsies twice, House of Cards. Even the vow renewal didn’t really put the couple back on solid ground, and that’s when author Thomas Yates as Frank’s biographer really starts to affect the storyline. Though he’s supposed to be focused on Frank and his America Works program, Thomas understands that nothing about Frank is complete without Claire beside him. They are two sides of the same coin, forged in ambition and gumption, but while Frank sees no problem with constantly climbing over anyone and anything to attain his goals, Claire has finally accepted that her role in their marriage never amounted to what she hoped it would, and that she’s been as much of a pawn in Frank’s ascent as anyone else. What’s more, she realizes that she has been relying on Frank more than he’s ever relied on her. Sure, he gets her opinion on things, but having to resign as Ambassador opened up a line of sight in Claire’s head that wasn’t there before. Frank’s wily duties in the past have always been for the Underwoods’ greater good, but the wiring of his intentions became slightly untethered once he found himself in the Oval Office. And since his legacy would assume Claire’s place as nothing more than a First Lady footnote, she wants out of his shadow, and out of his life. How her huge decision will get spun in Season 4 is, of course, a mystery at this point, but it stands to reason that nothing will be the same. Considering how a lot of her professional decisions have led to failures of different values – which goes to show that urinating in front of a fellow Ambassador isn’t always a good thing – I’m really not sure where Claire is headed. 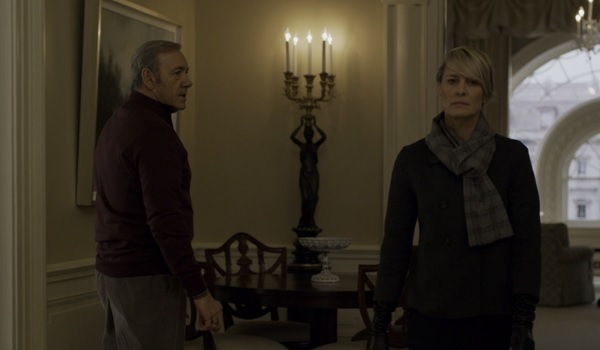 House of Cards isn’t so trite that they’d put her with an opposing Presidential candidate, is it? Do You Think Frank And Claire Will Stay Together? Yes, this show needs them together to thrive. No, the Underwoods are finished.